Research papers on mass incarceration discuss the term used to refer to the number of current inmates in America's prison systems. Criminal justice writers keep upon the latest statistics on mass incarceration. Your research paper should always contain the most recent information possible. Go with the writers at Paper Masters who understand what criminal justice professors are looking for when they ask you to write research on incarceration. Mass Incarceration is a term that is used to refer to the number of current inmates in the United States’ prison system. This number of incarcerated people in the United States has drastically risen over the last forty years. According to recent statistics, the United States makes up around one fourth of the world’s prison population. Statistics also show that some minorities are targeted by some of the laws in the Unites States accounting for higher numbers of black, Hispanic, and women. During these decades, the government started enacting harsher punishments for crimes committed. Harsher punishments greatly increased the sheer number of people who were sentenced to serve time in prison. Not only were more people placed into the prison system, but also the length of the sentences were increased. According to 2016, statistics around 12,000 people are currently serving time for small offenses that most people do not even recognize as crimes. Some of these offenses include parole violations, juveniles running away from home, and school truancy violations. Mass incarceration has become a social issue based on the sheer number of minorities in the United States prison system. 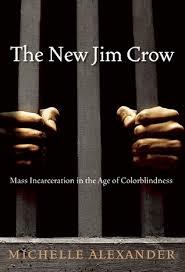 Many see the prison system as continuing racial division that began after slavery with the development of Jim Crow laws. Many believe that the prison system continues to disenfranchise minorities because it prevents people from being able to work and be contributing members of society. Once they are released from prison, these individuals find it extremely difficult to find employment and start over. Many individuals will return back to the prison system because they are unable to survive outside. Alternatives to Incarceration - Research papers on alternatives to incarceration discuss ways the United States prison system is trying to alleviate the problem of max capacity in prisons. Prison Crowding Research Papers go into how the populations increase has caused problems in prisons such as putting all types of prisoners together and many others. Prison Privatization - Prison privatization began when American citizens expressed concerns over high crime rates in the eighties. Probation - Probation research papers research and illustrate that the probation process is less expensive than providing intensive prison care for years. Probation and Parole - Probation and parole research papers examine their role in the criminal justice system. Recidivism of Juvenile Offenders - The impressionability of youth offers hope that juvenile offenders can be persuaded to mend their ways and grow into productive, law-abiding adults. Reentry From Prison - Reentry from prison is a problem within the criminal justice system, as recidivism rates are unacceptably high in a society that attempts to “assist offenders” with a liberal parole policy in many overcrowded prisons. Youth Justice System - The youth justice system keeps minors separate from adult criminals. VA Judicial System - The Virginia judicial system was put into place to uphold state law and ensure that disputes are handled justly and economically. Adult and Juvenile Prison Systems in the U.S. - An Adult and Juvenile Prison Systems in the U.S. research paper examines the criminal systems problems, bad press, and lawsuits. Juvenile Recidivism - Juvenile recidivism is the term for children under eighteen-years-old who habitually commit crimes. Juveniles Tried as Adults - A Juveniles Tried as Adults paper questions the effectivity of putting youth in adult prison. Mandatory Minimum Sentences - Mandatory Minimum Sentences research papers delve into the guidelines of this controversial topic. Mass Incarceration - Research papers on mass incarceration discuss the term used to refer to the number of current inmates in America's prison systems. Educating Prison Inmates - Educating Prison Inmates research papers research the pros and cons of giving convicts an education. Paper Masters writes custom research papers on mass incarceration and discuss the term used to refer to the number of current inmates in America's prison systems.